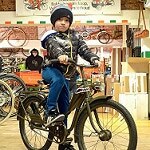 While much of Workcycles’ business is B2B we rarely get photos of our bikes in action. They disappear into factory halls, paper mills and oil refineries, roam foreign parks, deliver sandwiches and sell coffee in far-flung cities. 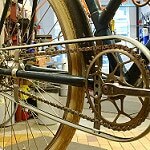 The industrial bikes are often purchased through supplier organizations who aren’t even sure where the bikes are headed or how they’ll be used. 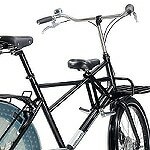 There are a bunch of Workcycles bikes being used around several cement factories in Kyrgistan; we guess it’s related to building oil pipelines. 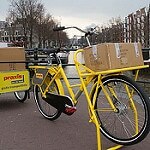 New bicycle courier business launches in Cardiff. A new environmentally friendly business launches in Cardiff today. 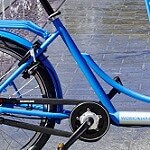 Big Blue Bike uses pedal power alone to courier business items up to 100kg in weight across the city using specially designed cargo bicycles. 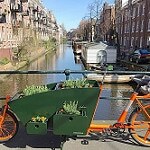 Ben Allen (of Roath, 26) started Big Blue Bike after a trip to Denmark revealed how even large loads can be carried safely and securely on bicycles, usually much quicker than using vans or cars. 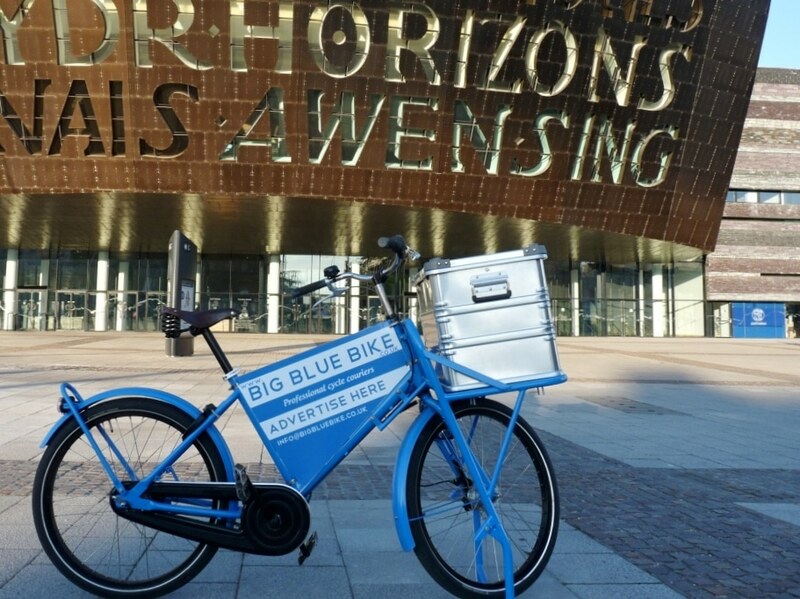 A passionate cyclist, Ben, knows that as a result of the recession and the current traffic disruption in Cardiff, businesses will focus on the time and money saved by using his service. 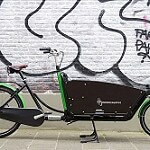 Allen adds: “With petrol prices soaring and traffic on our city streets at a standstill it makes sense to switch to a zero emission and congestion easing delivery method”. 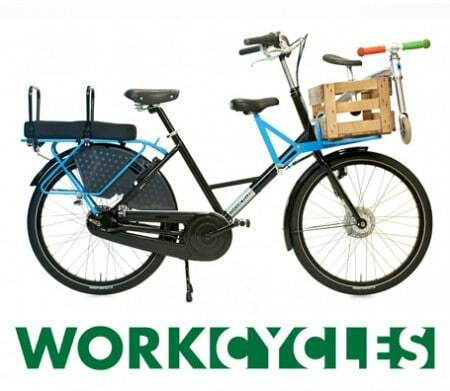 Ben’s big blue bike of choice is of course a Workcycles Fr8 with Massive Rack and integrated parking stand. With the (big) locking aluminium chest he can keep your goods dry and safe. 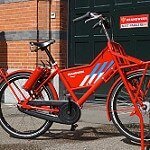 A smart addition is the large advertising boards on each side of the bike that can be rented, hopefully providing Ben with a second revenue stream. We wish Ben success in his new venture! 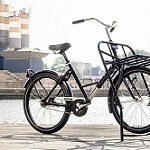 This entry was posted on Monday, July 19th, 2010 at 08:00	and is filed under Bikes in use, Elsewhere in the world..., Practical cycling, Workbike / Transportfiets. You can follow any responses to this entry through the RSS 2.0 feed.You can skip to the end and leave a response. Pinging is currently not allowed. It is great to supply bikes like this, Ben has a very entrepreneurial spirit, with bikes like this, so much more is possible. 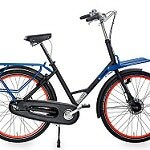 Just as the estate car was an innovation, so bikes like the FR8 open up new possibilities for personal and business users…nice work Ben…good work Henry for thinking outside the box. Hello. 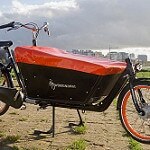 What a cool bike. Im in japan and trying to start a sandwich delivery service. How do i get one? 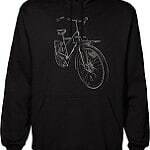 If i advertise you guys on the bike can i get one for free? 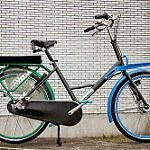 We can ship bikes to Japan. 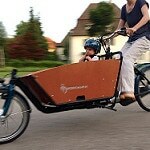 You’ll find the Fr8 on the Workcycles website and just send an inquiry from the product page.